Definition at line 409 of file conmsg.h. Definition at line 411 of file conmsg.h. Definition at line 414 of file conmsg.h. Definition at line 413 of file conmsg.h. Definition at line 415 of file conmsg.h. 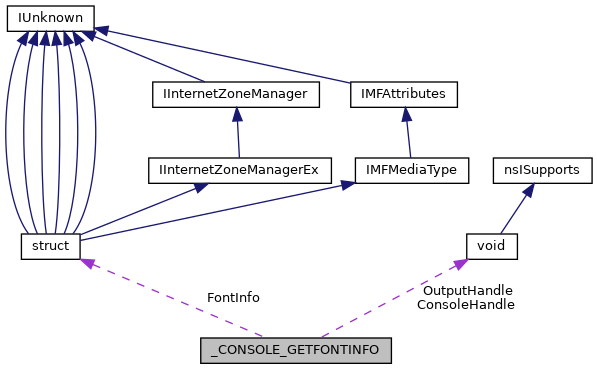 Referenced by CSR_API(), and GetConsoleFontInfo(). Definition at line 412 of file conmsg.h.